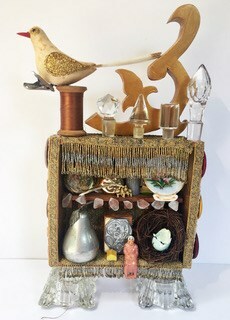 "Unlikely Pairings" features artists Michelle Spiziri (paintings), Jessica St. Clair (digital art), Jodi Harvey (book sculpture), & Linda Popp (assemblage scuplture). Show runs June 2-23. Hours: Weds. 1-7pm & Sun. 1-4pm.